First pressings do not have the boxed EMI logo anywhere on the label. Personally, I think this is one of the finest records every made. Stunningly underappreciated. Almost as good as their previous masterpiece, S.F. Sorrow that was released in 1968, years before this one. For me, this one takes some getting used to. It's not as catchy as S.F., as I immediately fell in love with it when I first heard it but this record takes some getting used to it for me. This lp is so good it's annoying. I'm annoyed at all of the legal squabbling over the Pretty Things' drug use. 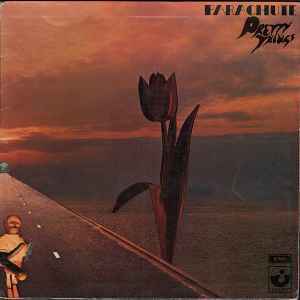 This lp is inspired pop rock on the level of the Beatles, and yet the Pretty Things were forever stuck in Britain due to drug arrests. That's the story I've heard anyway. There's a "Lennonesque" feel to "Sickle Clowns" and "Grass" in the music and in Phil May's vocal. The first side of the album moves in musical themes very quickly, a la side two of "Abbey Road". "Cries From the Midnight Circus" is as rude a riff as the Stones ever came up with, and Pete Tolson's lead guitar is amazing. The whole album is fun to listen to and dare I say....commercial? Which makes me think the Pretty Things could have been pretty big here in the states had it not been for drug busts. One of the best albums of the year.